Honorary Waturi can experience the power of Krakatau on this amazing ride. Four-person canoes slide upward through the mists and into the dark twists and turns within the volcano before emerging with a plunge through a shimmering waterfall. This is the main attraction at Volcano Bay built into the centerpiece volcano. The track weaves in and out of the volcano, passing over the winding river below. Unlike regular water slides, this water coaster doesn't just go down the entire time. It goes back up a few times as well, making it last much longer than a usual water slide. 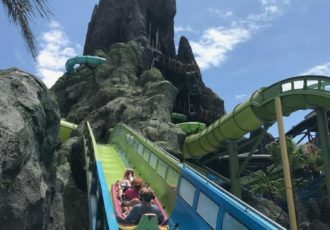 Definitely do this attraction as soon as you can when starting your day at Volcano Bay. Be sure to tap your TapuTapu on this one first, and you may even be able to reserve another ride at the same time. 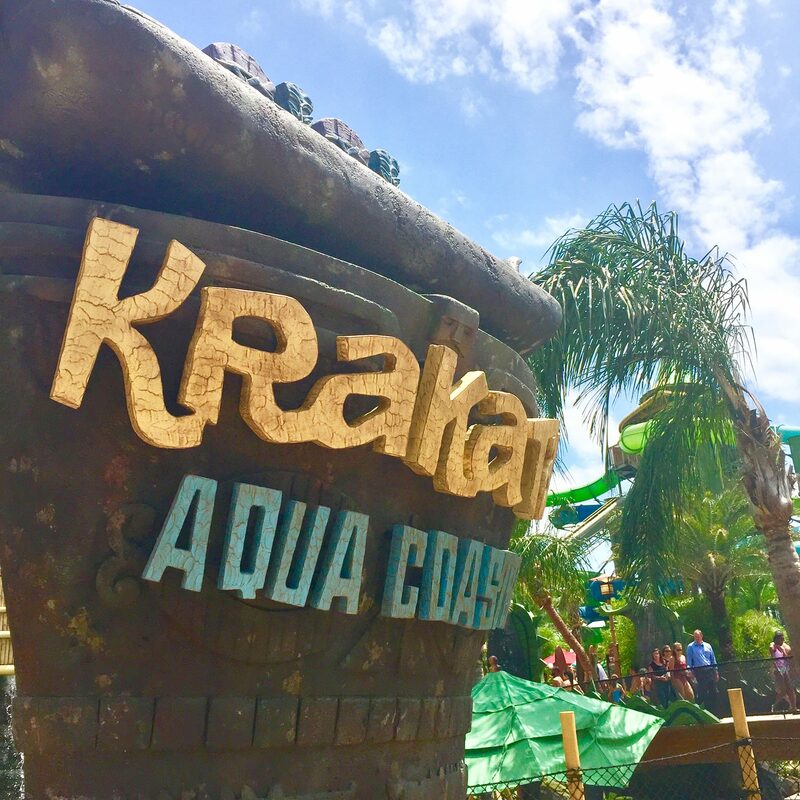 The Krakatau Water Coaster is the only attraction that allows you to reserve another ride at the same time. UPDATE: This may no longer be the case as Universal continues to test and tweak the virtual line system they may not allow multiple reservations, even for the aqua coaster. We still suggest getting to the park early and experiencing this attraction first to avoid a long wait for your turn. This ride looks more intense than it actually is and is intended to be enjoyed by families. Having said that if your child is not a fan of fast rides or even kiddie coasters, you should definitely skip it. This attraction uses linear induction motors (LIM) to propel the canoes up lift hills quickly. That's the same technology that many roller coasters use for their launches including Revenge of the Mummy at Universal Studios Florida.